Russians. 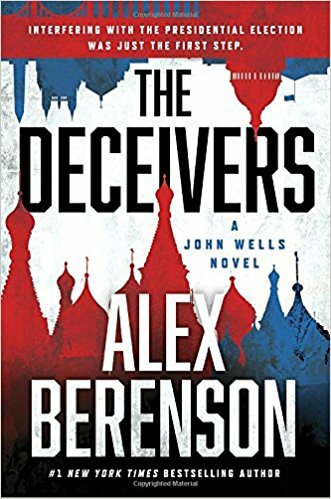 The twelfth thriller novel by Alex Berenson to feature protagonist John Wells is titled, The Deceivers. Pulled away from family for another special assignment, Wells expects one high profile assignment, but receives a different one as President Duto sends Wells into a complicated thicket of plots by Russian operatives to take over the United States government. Fans of the series will enjoy this novel, as will any reader who enjoys thrillers with plot lines grabbed from current headlines. Rating: Four-star (I like it) Click here to purchase The Deceivers from amazon.com.